With only a couple months to go until the last ever cross-country Vans Warped Tour lineup is revealed, we thought we’d help build anticipation by throwing out a few names we’d absolutely love to see this summer. However, unfortunately for us, unless some of these giant, arena-sized bands want to take a bit of a pay cut or others on the list want to reunite for nostalgia’s sake, a lot of these artists probably aren’t going to make it out this summer. It doesn’t hurt to dream though, right? To check out the 18 bands we want to see on the final Vans Warped Tour but probably won’t, be sure to look below. Afterwards, make sure to pick up tickets to Warped 2018 here. One of the earliest memories we have of the Vans Warped tour is getting our elementary school faces smacked around in our first true punk rock mosh pit. Who was that band giving us a friendly-yet-dangerous introduction into punk, you ask? The iconic Bad Religion, that’s who. Now, here in 2018, what better way to bring things full circle than by helping some unexpected youngsters start their punk rock love affair with a little pit action. Look, is Paramore going to play the Vans Warped Tour in 2018? Probably not. But how incredibly legendary would it be if over the speakers you suddenly heard the intro to “Misery Business” and a now-blonde-haired Hayley Williams ran out to perform one of the biggest songs of 2007? Again, it doesn’t hurt to dream, right? Fall Out Boy’s Take This To Your Grave turns 15 in 2018 – feel old yet? Aside from “Grand Theft Autumn/Where Is Your Boy” and “Saturday” (which Pete Wentz and company performed on their recent M A N I A Tour), don’t you think it’s time for the guys to play a few more songs off that fan-favorite record? And at Warped Tour, the place that helped launch their careers, nonetheless? With or without Tom Delonge, getting Blink-182 to play at this year’s Warped Tour would be something we, and thousands of others, would never forget. With a new record out and another apparently being written as we speak, why not get Mark, Travis and newly added member Matt Skiba out to play a few songs? Still to this day, one of our fondest Warped moments was seeing former Fueled By Ramen signees Gym Class Heroes at Warped ‘09. On that day, the hip-hop act did something totally unbelievable (seriously, no one ever believes us when we tell them) and busted out a flawless rendition of Lamb Of God’s “Laid To Rest.” Now nine years later, who’s to say Katy Perry’s ex-lover Travie McCoy couldn’t bust out something even cooler in 2018. This one is easy: Please let Fat Mike on the last ever Vans Warped Tour. Hearing the outspoken vocalist bag on bands playing on other stages is one of the best moments of Warped. Just imagine, Comedy Central’s Celebrity Roast Warped Tour Edition with host Fat Mike. Yes, please! Material Control (aka Glassjaw’s first new album in 15 years) was hands down our favorite album of 2017. That said, we think you can figure out why we’d want to see Daryl Palumbo and Justin Beck out on the Vans Warped Tour one last time. With vocalist Craig Owens busy with his R&B-influenced project badxchannels, there’s a very small chance Chiodos will reunite for Warped. But, while we’re at it, could you imagine if there was a D.R.U.G.S. reunion too? We’d be perfectly fine with one or the other. (Also, shout out to then-Underminded-member-now-Sleeping-With-Sirens guitarist Nick Martin for those guest vocals). Along with Fall Out Boy’s Take This To Your Grave, a little birdie tells us AFI’s Sing The Sorrow also turns 15 years old this year. As one of the first bands to properly pull off the “goth punk” look at the Vans Warped Tour, getting AFI back out on the summer festival to perform “The Leaving Song Part II,” “Bleed Black” and “Silver And Cold” would be a dream come true for fans and the hundreds of bands they influenced over the years. We couldn’t decide which band’s break-up in 2016 tore us up inside the most so how about we bring both Yellowcard and Motion City Soundtrack back for another Warped Tour go-around? Please? If Kevin Lyman is able to get punk rock legends Descendents out on this year’s tour, that would be a huge accomplishment. We mean, if Adolescents could bear the 100-plus degree heat of Warped last year, why not Descendents? Milo Goes To Warped 2018! When Green Day played Warped back in 2000, Tre Cool lit his entire drum set on fire. No, seriously. That actually happened. By no means is Green Day as rambunctious as they were 18 years ago, but who’s to say they couldn’t bring out something special for one final performance on Warped. It wasn’t that long ago (2010) that former-deathcore-now-rock outfit Bring Me The Horizon was gracing the main stages at Warped Tour alongside Andrew W.K., Face To Face, and Alkaline Trio. Fast-forward eight years, how about we just make it a package deal and get all four of those bands at Warped 2018? With so many bands wanting to bring back the nu-metal sound of the late 90s, why not bring back the pioneers of the sound, Deftones, and let them show everyone how it’s done. We’re game for it. Still waiting on Alexisonfire’s reunion to hit the US (really guys, what’s taking so long? 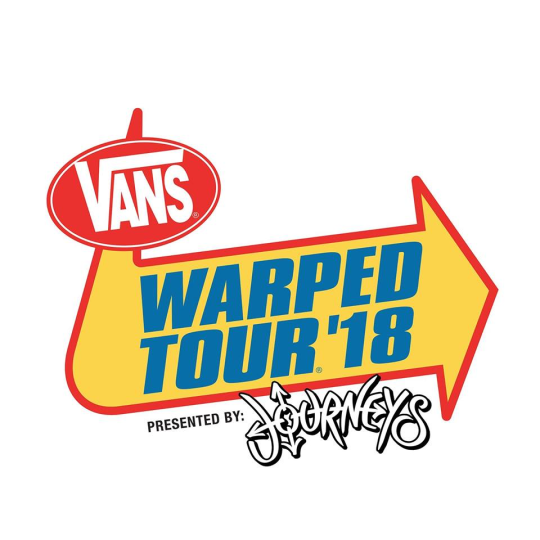 ), what better way to celebrate the one-year-late, 15-year-anniversary of their 2002 self-titled LP than a return to the Vans Warped Tour? We mean, Eminem seems to be doing every other festival this year (Coachella, Bonnaroo, Governor’s Ball, etc.) 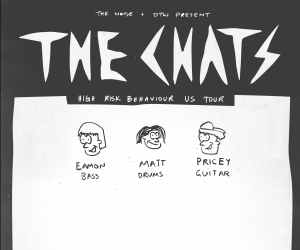 why not take it back to ‘98 and make a quick stop on the Kevin Says stage for old time’s sake? Duh. Do we even need to explain ourselves?